The city of love, lights, food, fashion and art, the most romantic city in the world. 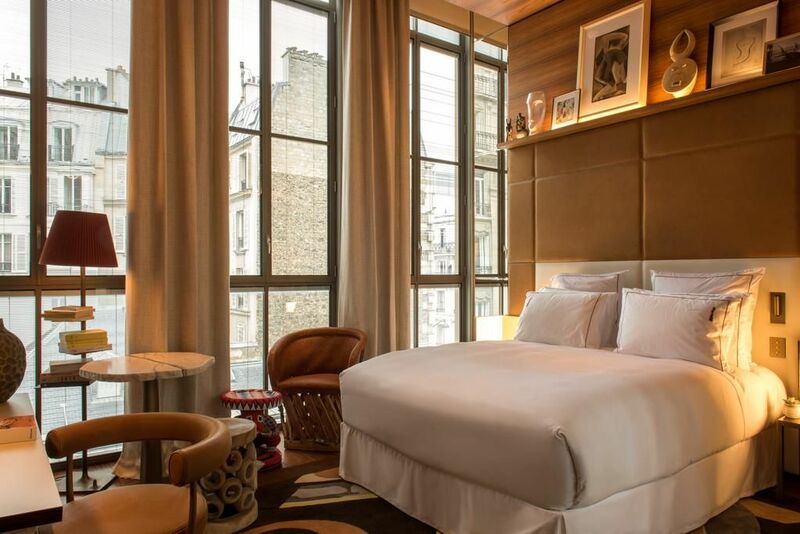 Discover the newest hotel openings in Paris. 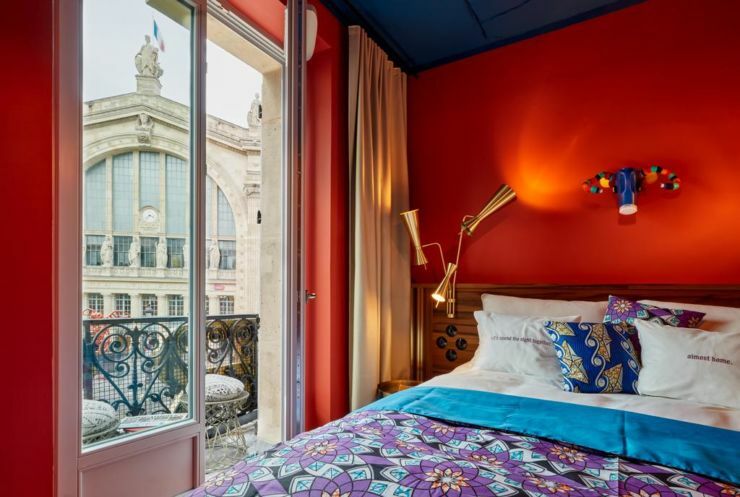 Following our popular articles about new hotel openings in Paris 2018, Rustourismnews now presents the latest hotel openings in Paris. 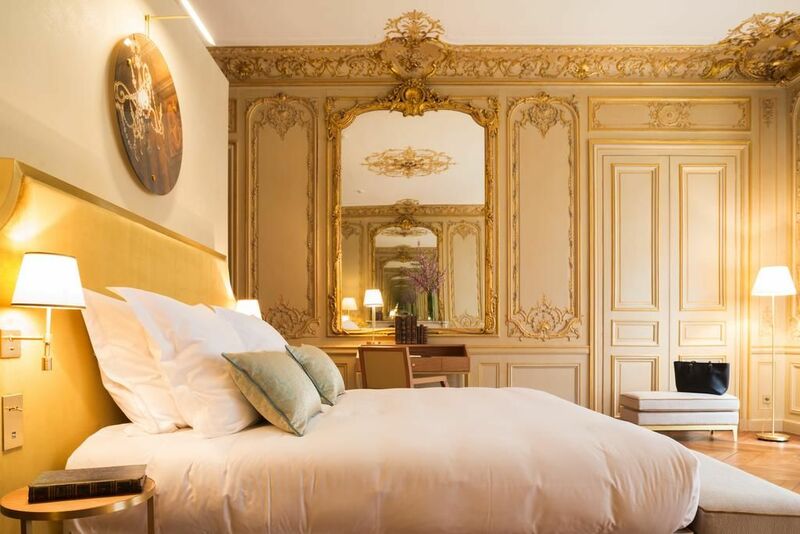 Located in the heart of an iconic and prestigious Parisian neighborhood, in a building steeped in history, the new La Clef Champs-Elysées Paris residence is an irresistible combination of traditional charm and contemporary comfort. This property, the third The Crest Collection luxury serviced residence, has just opened after a complete, two-year renovation. The five-storey Haussmannian-style building that houses the apartments of La Clef Champs-Elysées Paris was first built in 1907 by the famous Hennessy cognac family. The interior design was entrusted to Jean-Philippe Nuel, a leading international luxe interior Design Studio. The 237 rooms are decorated in colour schemes inspired by Africa and Asia, colourful and warm. To eat, head to the NENI restaurant, with its Persian, Arab, French and Russian influences. To refresh yourself, you cannot miss the Sape Bar. For guests looking to explore and discover the surroundings, Schindelhauer bicycles are available and a small map is offered, showing the most picturesque routes of the city on 2 wheels. 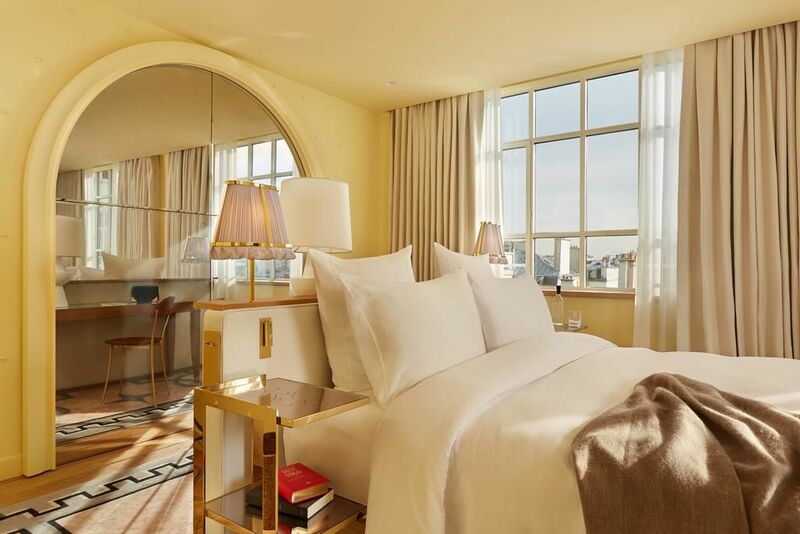 Hotel Lutetia is an iconic landmark situated in the vibrant Saint-Germain-des-Prés area of Paris and the only luxury grand hotel on the city’s Left Bank. Originally opened in 1910, the building’s design was a daring move from art nouveau to the emerging style of art deco. 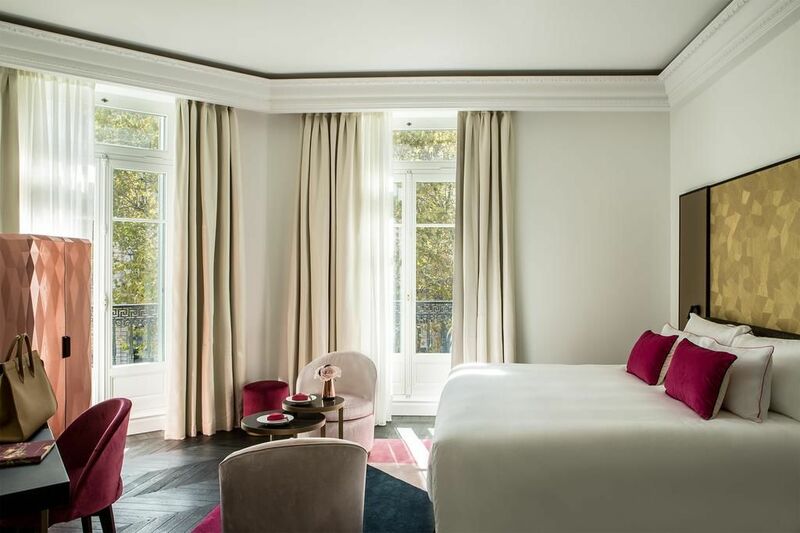 Recently opened after 4-years massive renovation, Hotel Lutetia offers 184 guest rooms with 47 suites, newly added Jazz Bar, Lutetia Brasserie, 700 sqm/7,500 sqft spa Akasha Holistic Wellbeing Centre and fitness featuring a 17m swimming pool. Situated just a stone’s throw from the Champs-Élysées, a former office building is being transformed into the luxurious Hotel de Berri. The hotel features 76 rooms, of which 37 are suites. Hotel de Berri offers guests an art collection, private garden, fine dining restaurant, fitness room and spa suite. 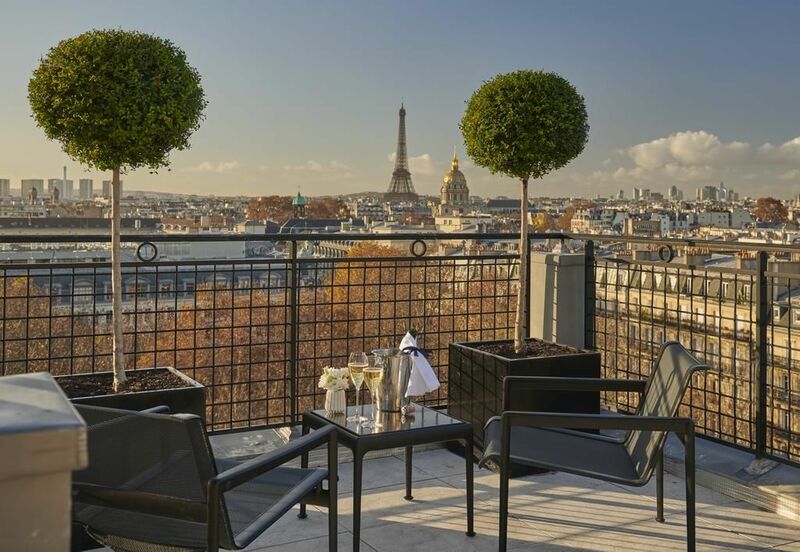 After a multi-million dollar renovation, Renaissance Paris Vendome Hotel offers its guests 77 rooms and 20 suites plus an ideal location for exploring all the famous attractions – the Louvre, Champs Elysées, Rue Saint-Honoré boutiques, the Paris Opera House – in this historic heart of the city. 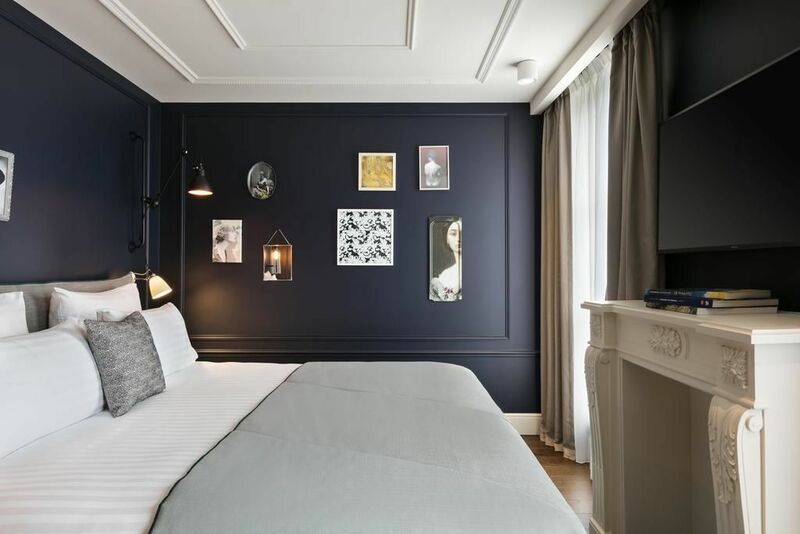 Reimagined by Didier Gomez Interior Design, the 97-room intimate hotel evokes its enviable location in the heart of the historic 1st arrondissement. Tucked away from the hustle & bustle, Hotel des Grands Boulevards is located at a unique place in Parisian geography. At the centre of the districts, surrounded by the Sentier and its entrepreneurs, the Faubourg Montmartre’s theatres & the Opera House, close to Strasbourg Saint-Denis’ sleepless nights and the Faubourg Poissonnière’s hip restaurants. Fifty bedrooms, a restaurant, a bar and a rooftop terrace have been designed by Dorothée Meilichzon, where she takes inspiration from the building’s history. The interior seduces the senses bridging the gap between romanticism & aristocracy with a gentle nod to the mischievous. 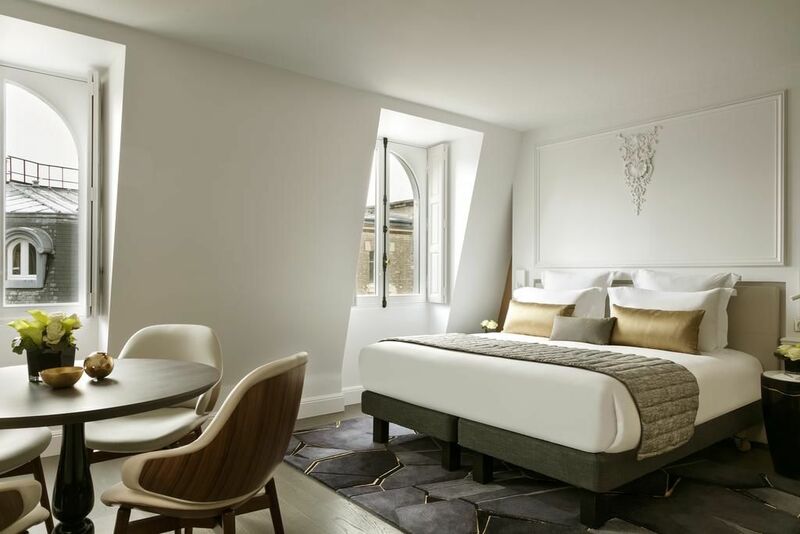 9Confidentiel offers 26 guest rooms and 3 luxurious suites – perfect motif for the glamorous 1920s moderne vibe that greets you as soon as you enter the plush lobby of this new and glitzy 5-star boutique hotel in Paris’s chic but historic Marais neighborhood. The property is located less than 0.6 miles from Pompidou Centre, a 16-minute walk from Sainte-Chapelle and 0.9 miles from Louvre Museum. Located in the trendiest part of Belleville near the picturesque Saint Martin Canal, La Planque Hotel combines a cool retro-chic style with affordable rates. The 36-guestroom boutique hotel features a charming collection of vintage and flea market treasures. The property is located 1.9 miles from Pompidou Centre, 2 miles from Opéra Bastille and 2.3 miles from La Cigale Concert Hall. 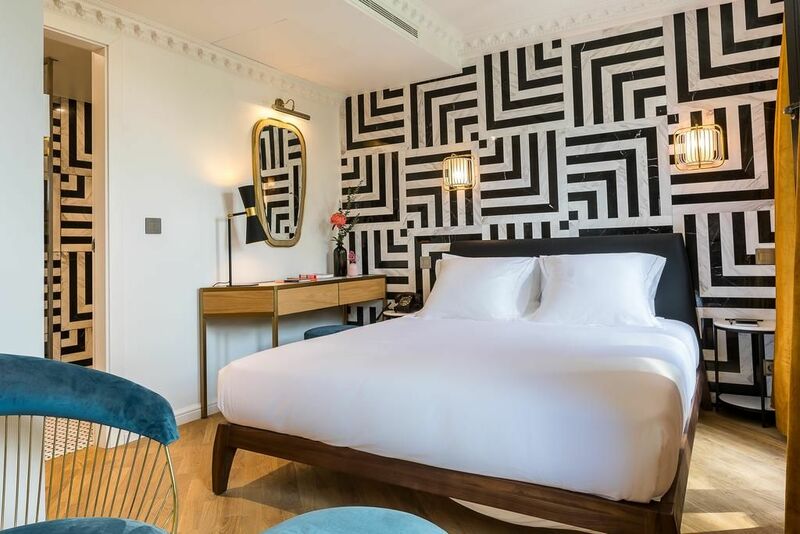 Located in the upscale 16th arrondissement close to the Marmottan Monet Museum, Fondation Louis Vuitton in the Bois de Bologne, and numerous other museums, the 5-star Hotel Brach Paris features 59 luxurious guestrooms and suites. 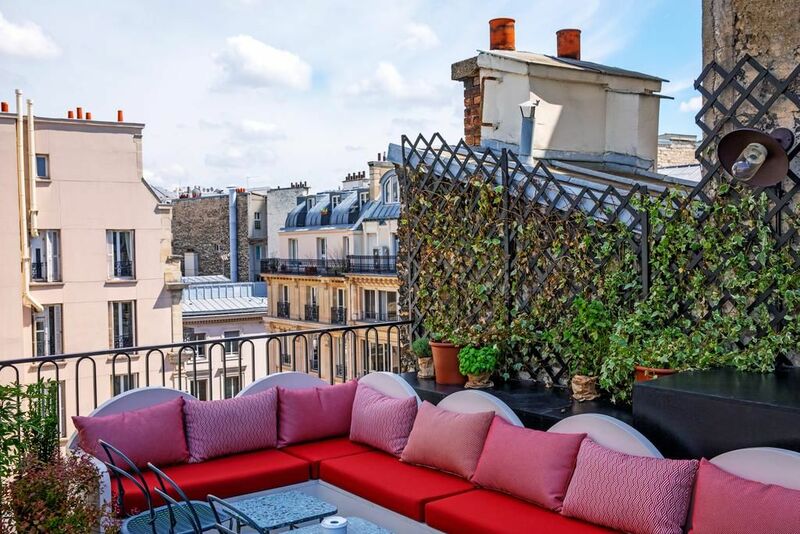 Set at 11 place de la Madeleine, Hotel Fauchon covers 6 floors and feature 54 rooms, a restaurant-bar, a tea garden, a quiet library for residents and a Carita spa. Hotel Fauchon has superb location near the Paris Opera House, Champs Elysées, and some of the best shopping streets in Paris. 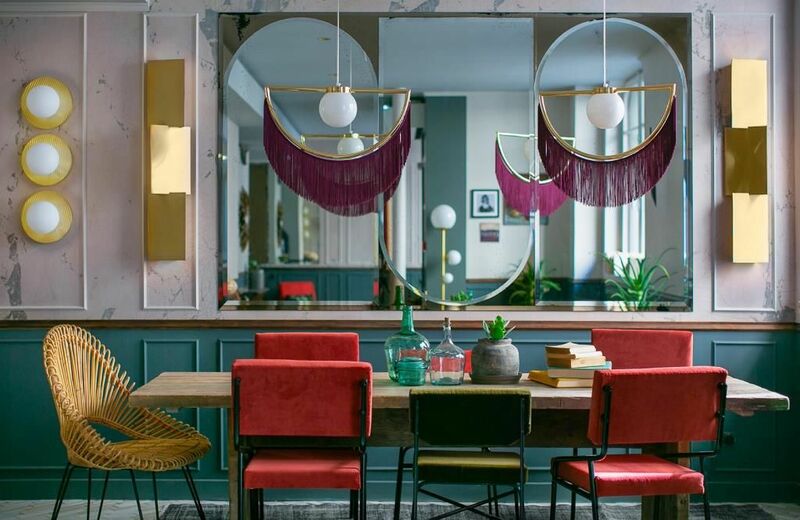 In May, 2018, the Hotel Rose Bourbon opens its doors in the fifteenth district of Paris, with 39 guest rooms decorated to reflect the happy union between the spirit of Art Deco and elements of contemporary design created and customised by a talented interior architect named Élodie Lenoir, from EL’LE interior stories. The property is 1.6 miles from Eiffel Tower and 2.4 miles from Parc des Princes. 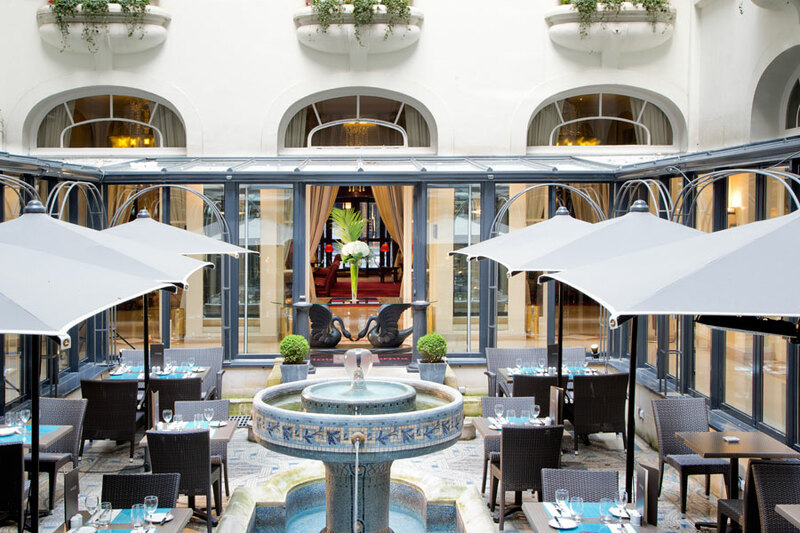 This luxurious hotel, located 100 m from la Madeleine in 19th-century mansion with a courtyard and garden, offers 80 rooms and suits. Hôtel Alfred Sommier gives you a unique opportunity to experience the gilded era of the Second French Empire. 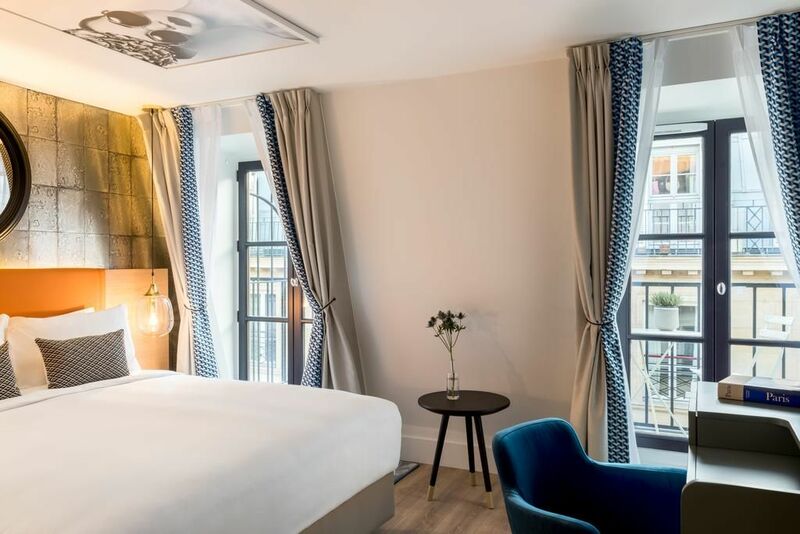 In the heart of Paris’ 8th arrondissement, the new Royal Madeleine Hotel has come back to life after renovation with 59 guestrooms and suites with comfortable modern furnishings plus an onsite restaurant and bar close to Place de la Madeleine. Hôtel Royal Madeleine offers private heated pool, the spa with sauna, and the relaxing herbal tea room.